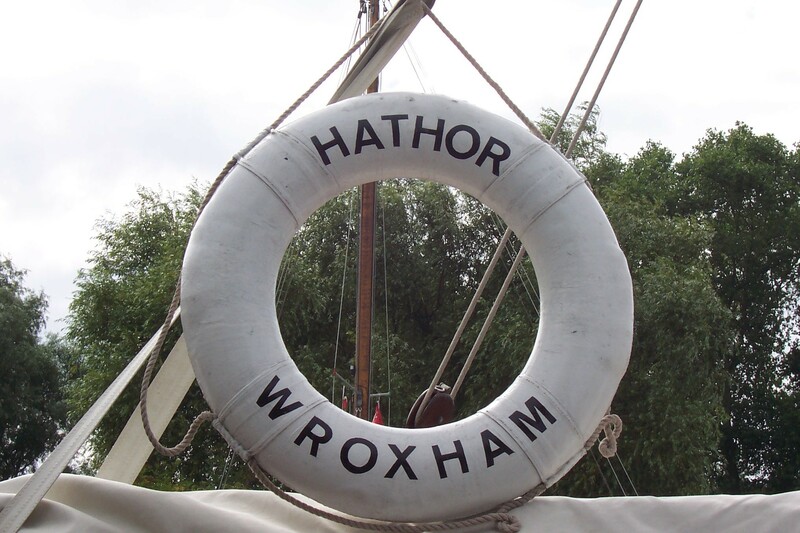 HATHOR was a pleasure wherry launched in July 1905 by Daniel S Hall, of Reedham, for Ethel and Helen Colman, two of the four daughters of Jeremiah Colman, who had established the mustard producer Colman’s of Norwich in 1814. 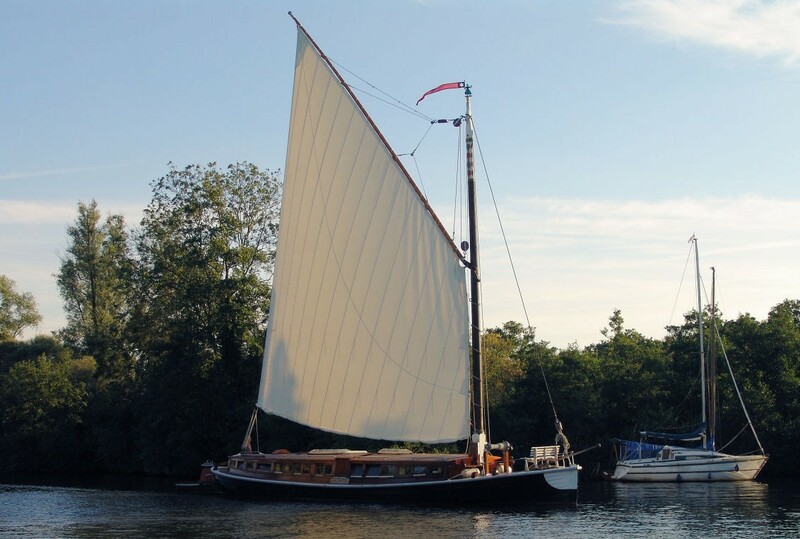 Their brother Alan had suffered from tuberculosis and, after other efforts to restore his health had failed, had embarked on a Nile cruise aboard the HATHOR, a dabaheah, one of the traditional sailing craft of Egypt. Sadly he died in February 1897 at Luxor, surrounded by his father and sisters. 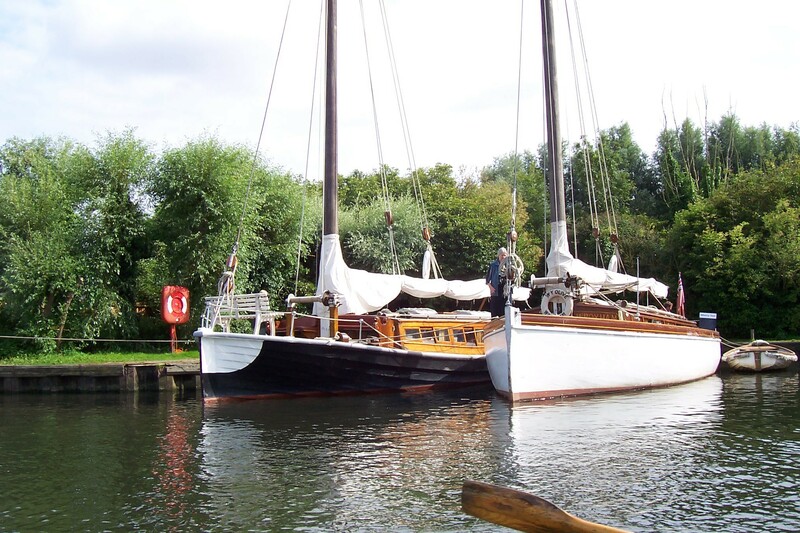 When, on 8 October 1904, the sisters commissioned a new wherry they decided to name it after this vessel. 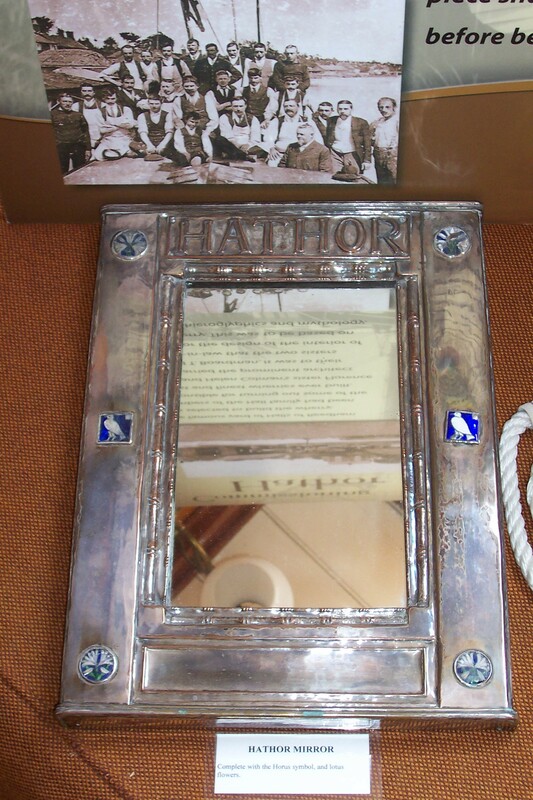 Hathor (pronounced heart-or) was an Egyptian goddess of love and joy, of the sky and of the west – the abode of the dead. The new HATHOR's interior was designed by the prominent architect Edward T Boardman, the husband of Florence, one of the four Colman daughters. The elaborate design was based on Egyptian heiroglyphics and mythology using drawings produced by Boardman’s partner Graham Cotman, who sketched them from originals at the British Museum. 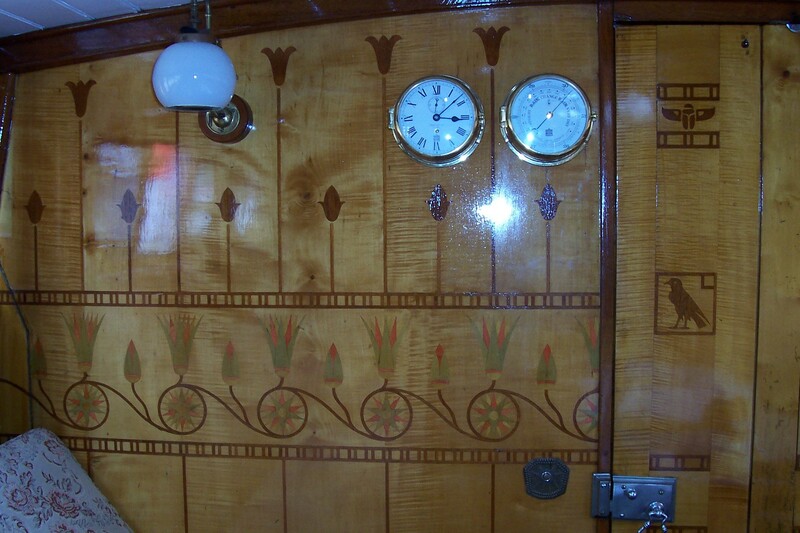 Lotus flowers of teak were inlaid in dyed sycamore to decorate the saloon while Egyptian animals and symbols adorn the doors. A unique Arts and Crafts oil lamp featuring serpents’ heads hangs from the saloon ceiling. 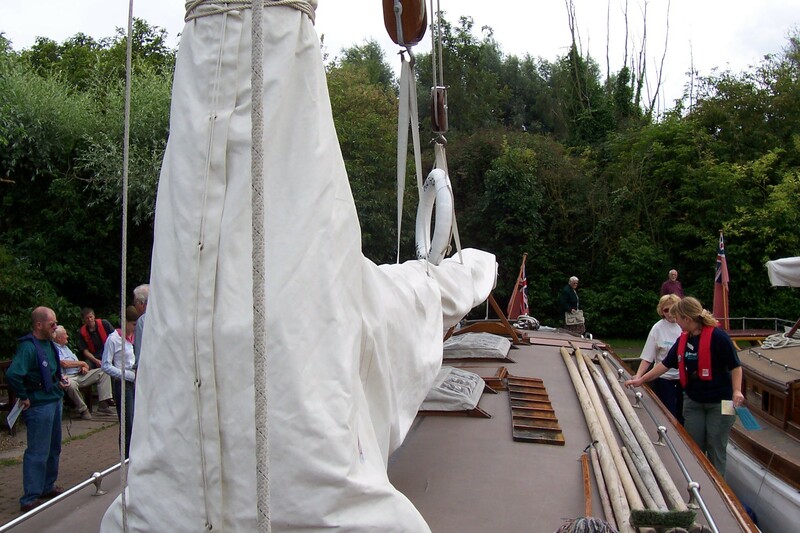 The hull itself was of oak with deal decks and a pitch pine mast. 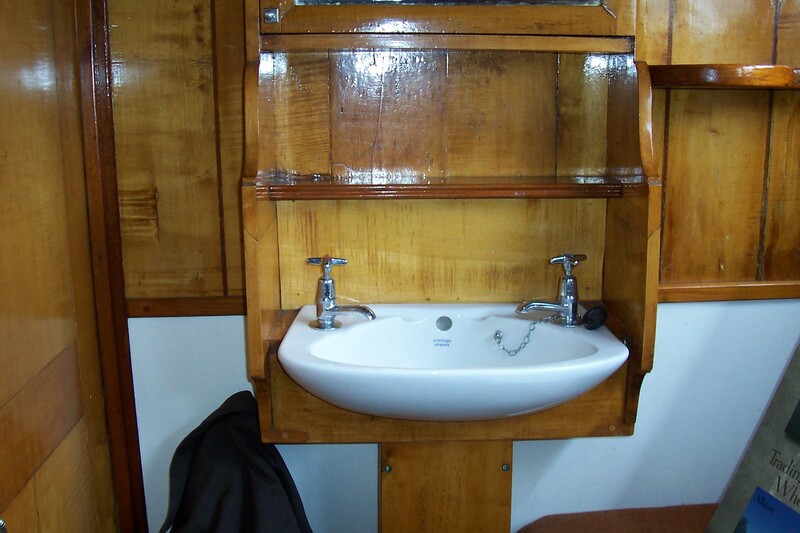 The cost of the wherry not including interior partitions and fitting out was £595; to this was added the £1057 spent on internal woodwork and £407 for other fitting out. 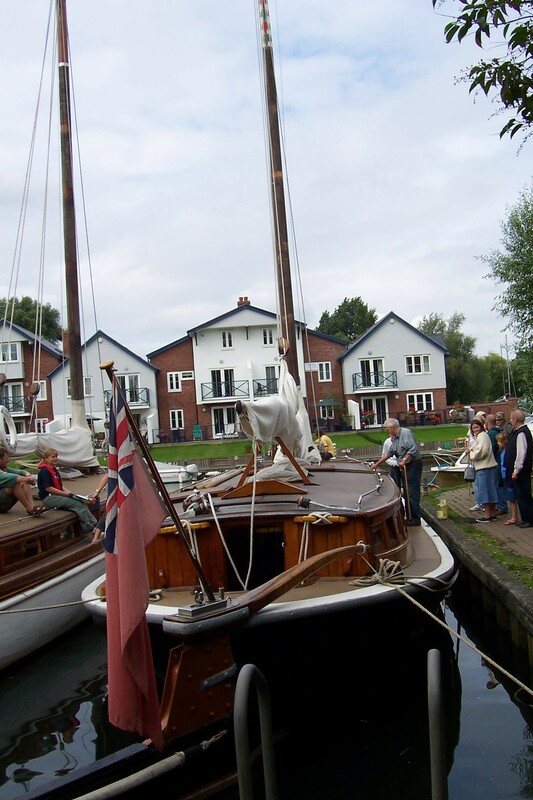 As the wherry was launched into the river two pigeons were released by Florence’s daughter Miss Joan Boardman, aged 3 ½, as an emblem of good luck, following the tradition of the Japanese. Her brother Christopher, aged 2, had first unfurled the flag on the craft. 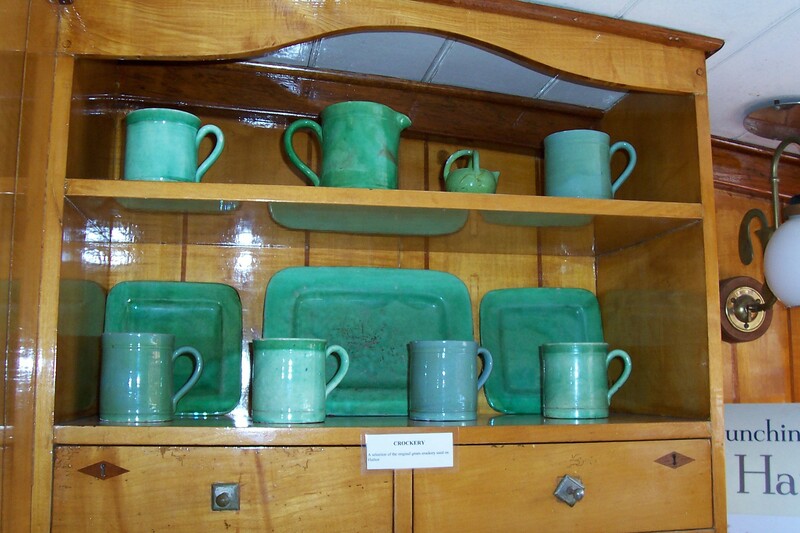 The craft was fitted out with cabins to sleep six, in addition to the skipper and steward, and made her maiden voyage on 2 August 1905. 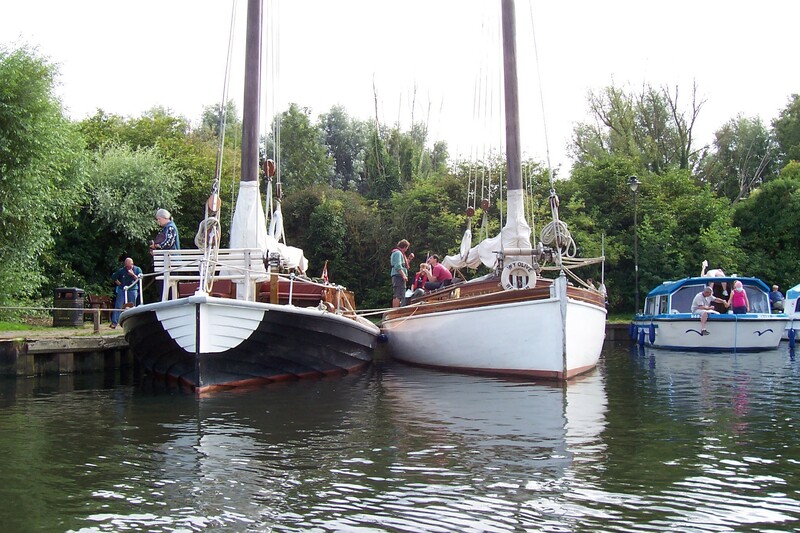 The Colman and Boardman families sailed HATHOR on the Broads during the summer seasons until 1953. 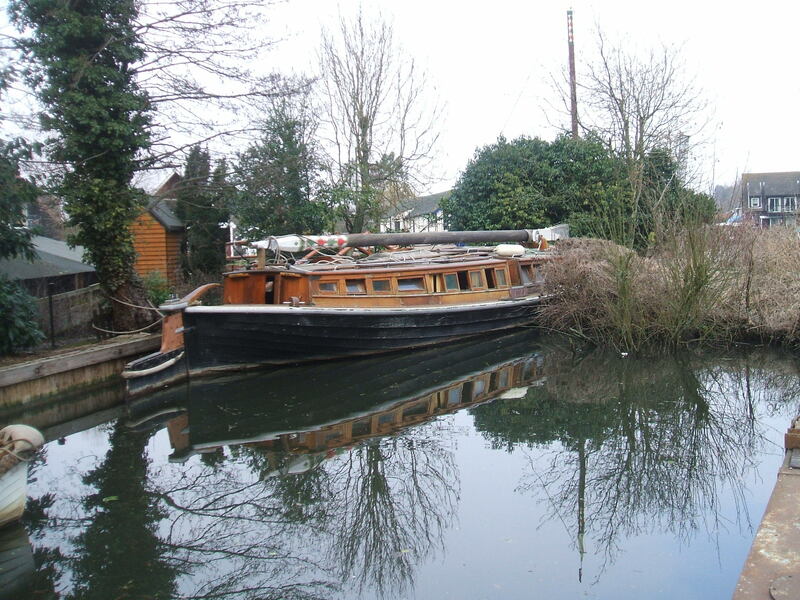 In 1954 she was sold to Claud Hamilton, who wrote Hamilton’s Navigation Guide to the Broads. 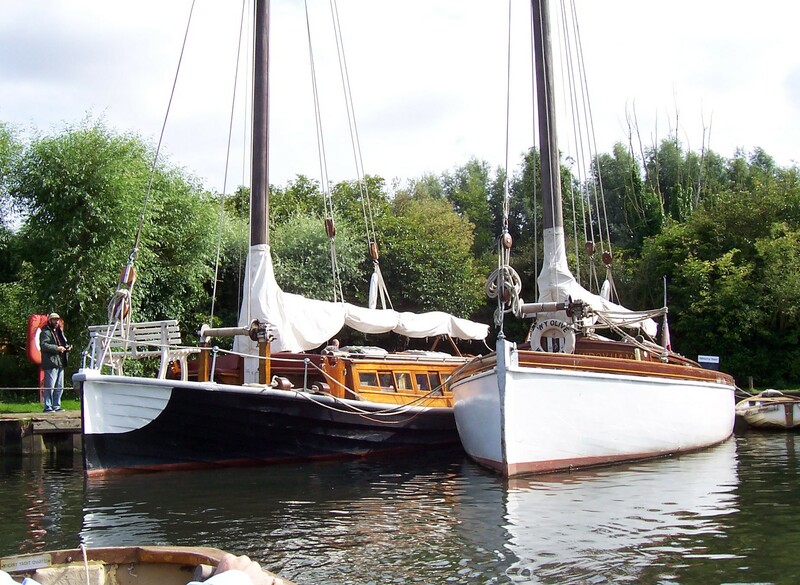 In the late 1950s the wherry was sold to Martham Boatbuilding and Development Company and was hired out as a houseboat to holiday-makers, only being sailed at the beginning and end of each season. 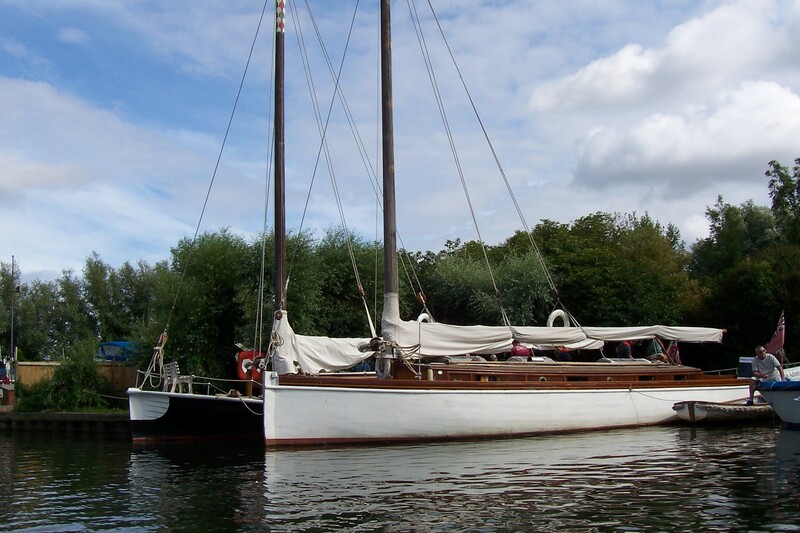 From 1974 to 1985 she sat, de-rigged without a mast, at Martham. 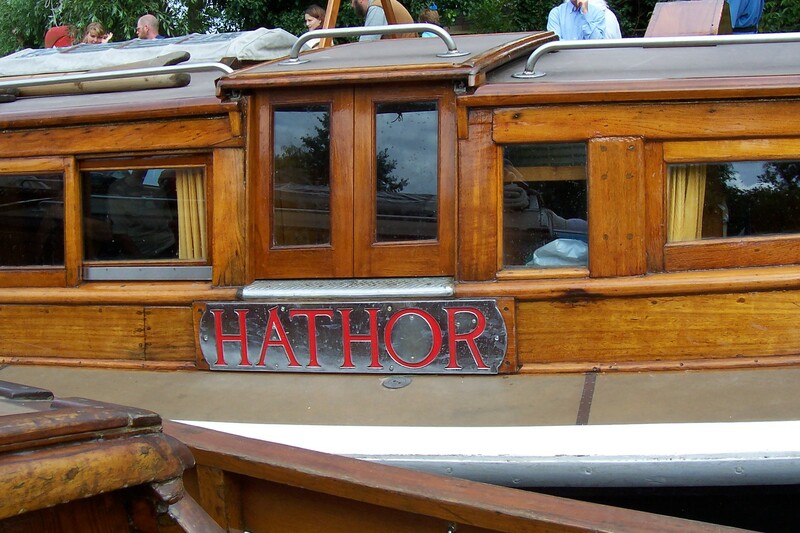 In November 1985 HATHOR was bought in a dilapidated state by Peter Bower and Barney Matthews of Wherry Yacht Charter for restoration at Wroxham, to join OLIVE and NORADA in their fleet there. 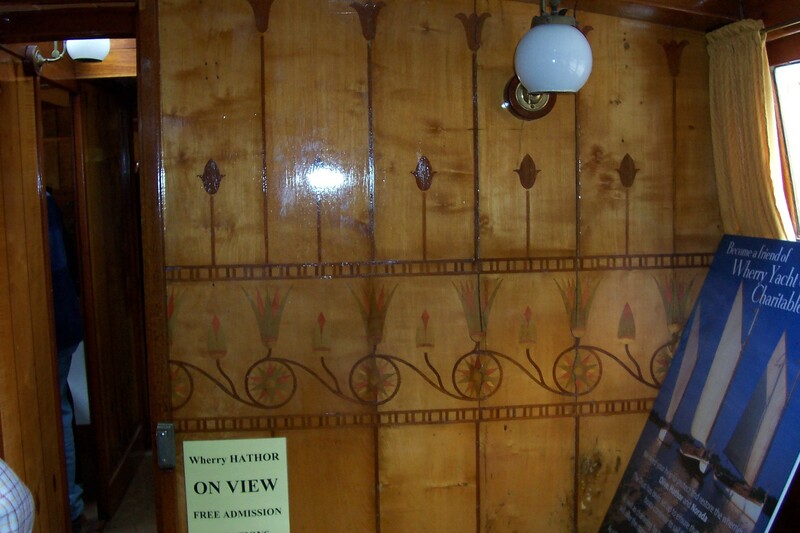 21 oak frames were replaced in whole or part, as was 60ft of oak planking, and much of the interior decoration was restored to its former glory. 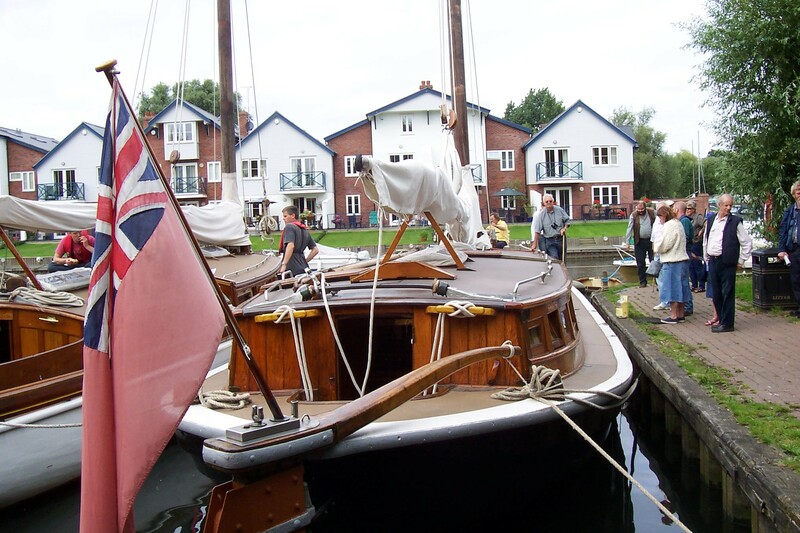 In July 1987 she sailed again for the first time in many years, and was employed by the Wherry Yacht Charter Charitable Trust in charter work until 2009 when she was laid up to await a new restoration programme undercover at Barton House, Wroxham, a new purpose-built facility. Restored and relaunched in May 2015. Relaunched on 30 May by the Bishop of Norwich (patron of WYCCT). In addition to charters used for educational work at How Hill (Environmental Study Centre) during June and July.